As the lunar cycle began with the New Moon in Taurus on May 15th, 2018, we were invited into a process of radical re-creation; to discover what liberates us, what is limiting us, what we need to truly sustain ourselves, and how can we create a deeper sense of value, purpose, meaning and nourishment in our lives. Now, as the energy of the Full Moon in Sagittarius takes shape, we are invited deeper into this process of re-creation; to redefine and reframe our beliefs, intentions, self-definitions and inner dialogue, thereby creating space to embody our simplest — and greatest — natural gifts, and allow our heart’s guidance to re-shape our relationship to the outside world. As the Sun’s journey through Gemini begins, a clear opportunity will arise for us to heal our inner dialogue. The energy of Gemini, a sign of relativity, is deeply connected with how we identify, connect with, and relate to objects and forces outside of ourselves. It is through this relationship that we learn to develop language, which allows us to communicate with each other. Our gathering of facts, perceptions and opinions also stem from the Gemini energy. The larger context for today’s Full Moon in Sagittarius is linked with how we identify with the outside world, and also how the outside world defines and identifies with us. The square alignment which the Sun and Moon are making to Neptune in Pisces is helping us to dissolve the old and outdated beliefs that we once subscribed to, which helped us navigate our human experience but which now, no longer serve our radically recreated selves. This tension is helping us find acceptance in the past and supports us into the future, by creating a desire to communicate at a deeper level with ourselves. In astrology, the North Node of the Moon reflects to us the path through which we find the growth and development of our awareness — that deeper level of self communication. With the North Node in Leo, we have been learning over the last year to really find our voice and, more specifically, the voice of our soul singing! The essence of this alignment in the context of today’s Full Moon is bringing clarity to our sense of purpose, through being in touch with what truly comes from our hearts. Moreover, Saturn inconjunct both the Sun and the North Node shows us that, in order to walk the path of our heart, we have to heal the layers of emotional duality that have crystallised in our bodies and minds and created separation from our heart’s purest guidance. Our separation from our “heart self” leads us to feel that we can’t take centre stage and be proud of what is true to us. This creates an inner dialogue that second-guesses the heart’s purest desires, or relegates them completely. But, helping us to break this pattern, the energy of this alignment leads us to examine our inner dialogue and realize that the way we define our lives inwardly defines how we create our lives outwardly. Ask yourself: How are you strengthening and nurturing your commitment to what really matters to you? Reflecting a radical change in our life’s direction, the 7-year passage of Uranus (de-conditioning) through Aries (passion) brought a tremendous amount of change and freedom to explore who we are (a cycle that came to completion on May 15th, as Uranus entered the sign of Taurus). Now with that energy of freedom and self exploration clearly reverberating in our psyches, we are invited to ground that energy into our personal worlds and actually experience this new sense of self. This current alignment between Saturn, Venus and Chiron helps us along with this grounding process, showing us exactly how we have outgrown our past paradigms of thinking and being. The energy of Venus in Cancer (a Cardinal sign) is all about changing direction. Each of us are at a point in which a shift in identity is occurring. What is important to notice here is that the old sense of self we attached to, and identified through, will feel limiting and have a sense of meaningless to it. This is the tension that Saturn is making to Chiron and Venus. In this alignment the key is to observe the values and needs you once felt were important that now no longer seem to support your needs in the new life you are trying to build. Ask yourself: How can you begin to define yourself from the inside out in a way that truly supports your ongoing process of healing? ‘Opening space’ is the best way to describe the energy of this alignment. Whenever you see planets form harmonic (trine) aspects to each other in the watery elements of Cancer, Pisces and Scorpio, we can know we are about to go through a deep transformation. Pisces reflects meaning, Cancer reflects ego and Scorpio reflects attachments and so, as this alignment takes shape, we see the meaning of our ego attachments undergo a process of change — one that energetically supports the process of shedding our skins reflected by the alignment of Saturn in Capricorn, Chiron in Aries and Venus in Cancer (which we discussed above). These formations will bring into our awareness the changes to our inner world, and we will begin to witness the flood of new direction (and therefore, opportunity) in our lives. Our core truth and perspective is now being transformed. What is the new meaning for you? Deep within each and every one of us is an opening which takes us beyond ourselves and our physical body into the source of our souls. It is from this opening within us that we are connected to where we have come from, where our soul resides, and where we will one day return to. We all have access to this source and we can all know it consciously, and thereby, consciously experience not only our connection to everything but also the continuous birthing of co-creation within it. Life moves through us. The birth of every moment sprouts from this soulful source within, and we bring it through our physical vessel into manifest creation where we then experience it reflected back to our conscious awareness; this allows us to then know what is within us, as we see it in the reflection of our creation. That reflection is a compass which can bring us closer to the source of our being, guiding us to deeper awareness of the echoes of our past, which we can transmute through awareness into a different future — a future which we can witness with love and awe as it springs forth from our being, and others’, flowing into creation with conscious intention. This is how the purity of our vibration is manifested. Conscious intention is created by surrendering our mind and body to something greater than what we think we want, which may sound contradictory to the idea of intention, but this is not an intention in our minds but an intention which comes from the deeper levels of our being — from our souls, which is something which can be felt and known and then allowed into being. So, to consciously co-create with intention requires you to trust and surrender to the greater forces flowing through you – to align yourself with that flow so that you yourself become the expression and movement of the source. When we align ourselves with the intention moving through us, we cultivate our greatest and simplest gifts — our humility, our compassion, our generosity, our and humanity. We each hold an endless abundance of these qualities and it is by aligning ourselves with the natural flow of creation and intentionally channeling it through these conscious virtues that we bring our highest calling and purpose into being. We each have beautiful gifts to offer and it is your simplest gifts that make you shine the brightest. They are your nature. Bring them to everything you do and you will become not only the artist of your life but also the work of art. As we announced in our last newsletter we have been busy on may levels with new exciting projects. We have released our introduction video on the astrology of relationships and are excited to share more with you on this topic. We also became aware that there is a desire to understand more about the younger generations, conscious parenting etc so have began to plan a series on raising children with awareness of their soul signature as a way of consciously supporting their evolutionary development..THIS is how we ultimately wish astrology to be used and we are so thrilled to have the opportunity to support this awareness of the healing power Evolutionary Astrology. We dream of a world where astrology is taught to children as an integrated tool for awareness.. Maybe Pluto in Aquarius will bring more of that thinking into the world but for now, we will do our best to support those seeking to learn. On that note, we have a Foundation course starting on June 3rd and another starting June 27th where Simon teaches the foundation for reading a natal chart, the 12 archetypes as understood through the lens of evolutionary astrology with additional emphasis on Pluto and the Lunar Nodes. In this course much emphasis is put on practicing SEEING the archetypes at play in real life. By practicing on their own charts and the charts of those close to then the individuals learn to identify the astrology at play through direct experience which supports a process of intuitively learning rather than memorizing information. We also have an intermediate course planned for those who already have a foundation in EA who would like to dive deeper into interpretation methods. We dive into understanding retrogrades planets, how understanding the evolutionary state of awareness reveals the way archetypes are expressed and manifested., significant aspects and phasal relationships between planets, key planetary pairs, House/Sign/Planet Method of interpretation and exceptions to the rules. 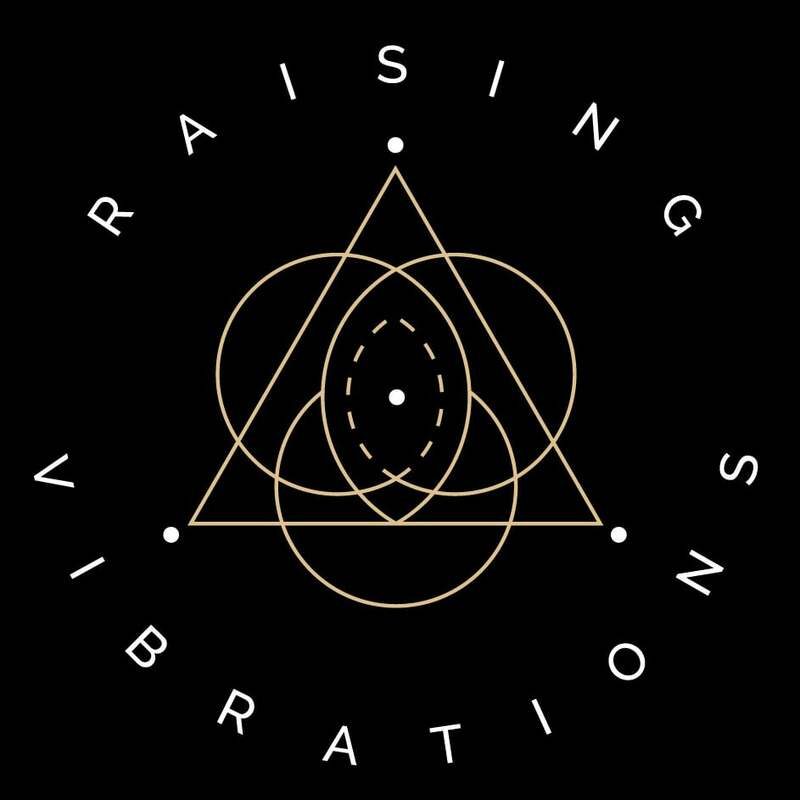 Please email us at info@raising-vibrations.com if you are interested in joining. Lastly our full moon video forecast followed by a live Q&A with our Patreon members is planned for tomorrow 30th May at 6pm GMT, Hope you can join us!